Gives you easy access to your accounts, plus a secure digital vault for your passport, driver’s license, bank cards & other personal data. All your passwords, documents & data. All in one place. Always to hand. Save time & hassle whether you’re shopping, banking or studying – or filling out boring forms. * for PC and Mac only. Will be available for mobile soon. For correct operation, please use the latest version of Kaspersky Password Manager on all your devices. Advanced password management that prioritizes your online safety. For correct operation, please install the latest version of Kaspersky Password Manager on all your devices. Mixing the old version and the latest version – on different devices – may cause operating issues. Use our Web version at My Kaspersky. How does Kaspersky secure my passwords and personal data? Kaspersky Password Manager encrypts data using a symmetric key algorithm based on the Advanced Encryption Standard (AES) – this AES algorithm is used worldwide to protect top-secret data. As part of this you receive a key – used to get into your password vault – that is derived from your master password using Password-Based Key Derivation Function 2 (PBKDF2). Is my data shared with Kaspersky Lab? No. We use Zero-Knowledge Security, which means neither Kaspersky – as the application developer – nor anybody else, knows a single thing about your data. Your data belongs only to you and is accessible only by you. This aspect of your password protection will never change. We respect users’ privacy completely. How do I sync my devices with Kaspersky Password Manager? 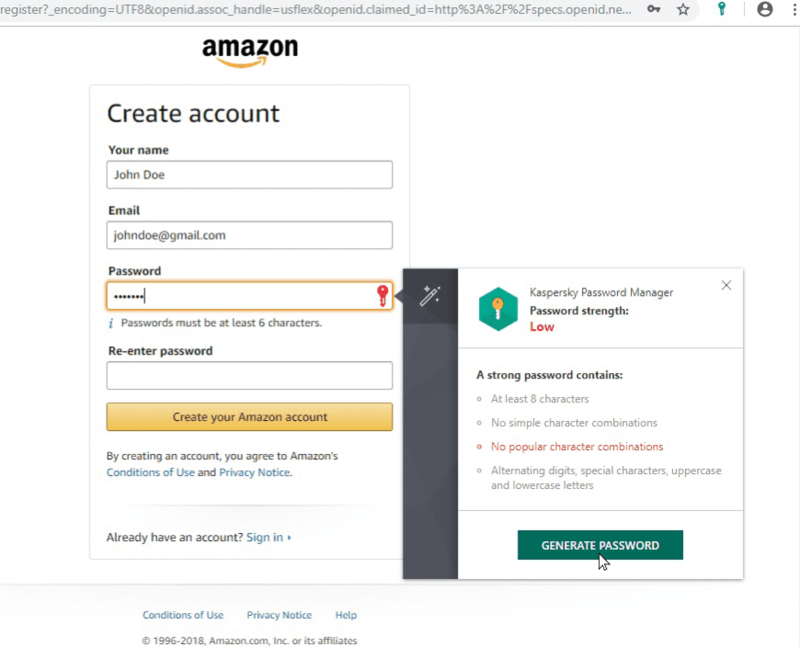 When you add data to your password keeper on one device, the app automatically sends this data to the cloud, and then from the cloud straight to your other devices that have Kaspersky Password Manager installed on them, and that are connected to your My Kaspersky account. Also, automatic sync is set to default within your password management software – making your password storage seamless. What happens if I lose my master password? For your own security, Kaspersky doesn't store your master password on any of your devices or in the cloud. We recommend that you memorize your master password, or write it down and keep it safe, because it can't be recovered if forgotten. There is no way to access your password locker or your data without your master password – if you lose it, you’ll also lose access to your data. What does the Search Automatically functionality in Images do? Does Kaspersky search a user’s devices for classified documents? 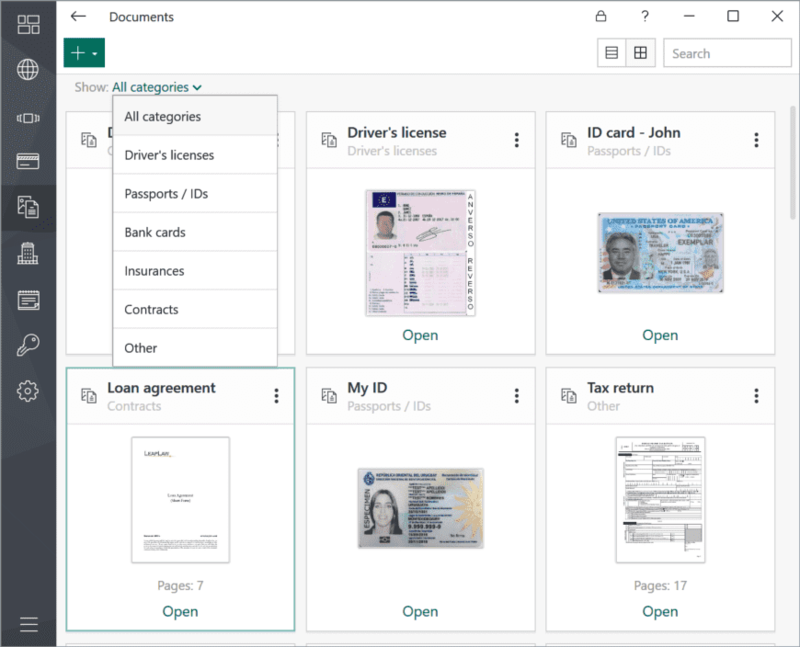 In the newest version of Kaspersky Password Manager, you can go beyond password protection by asking our technology to scan your devices for saved images of documents. Using machine learning and an algorithmic approach, we detect the presence of text on images by analyzing a specific pattern of lines. The technology works locally on your devices and cannot read the content of your documents. During this search, if our technology detects an image that appears to be a photo or scan of a document, it prompts you to save it inside your encrypted vault and to delete the unencrypted copy. Images of documents stored in Kaspersky Password Manager are not uploaded to the Kaspersky Security Network and are only available to you locally on your devices, or in your My Kaspersky account. Password manager solutions want to store my data in one place. Does this pose a risk? 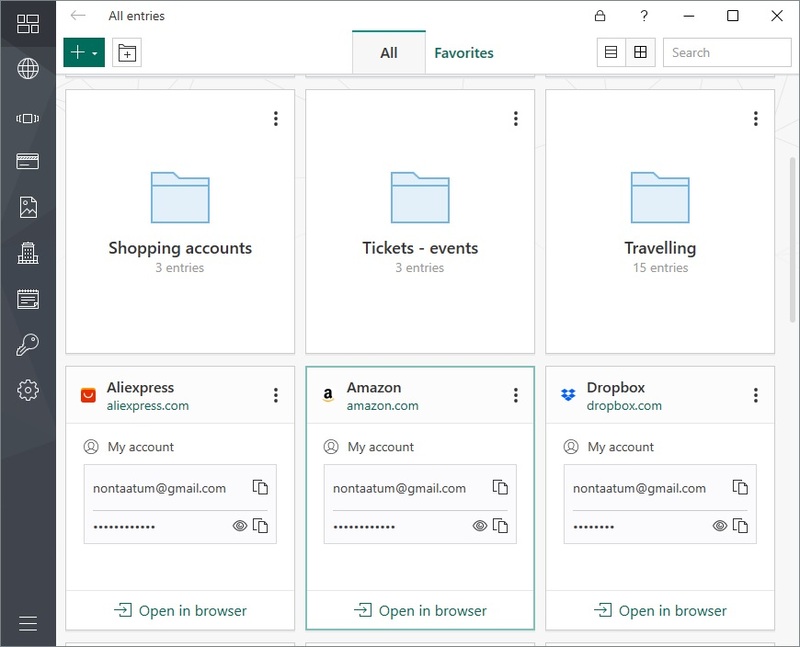 Kaspersky Password Manager is a secure password saver and password protection solution that allows you to create strong, unique passwords for all your online accounts, while only having to remember one master password to access them. The most secure password manager solutions, including Kaspersky Password Manager, offer robust encryption features, so there is little threat of your data being breached by a third party. What is the difference between the Premium and Free versions of Kaspersky Password Manager? 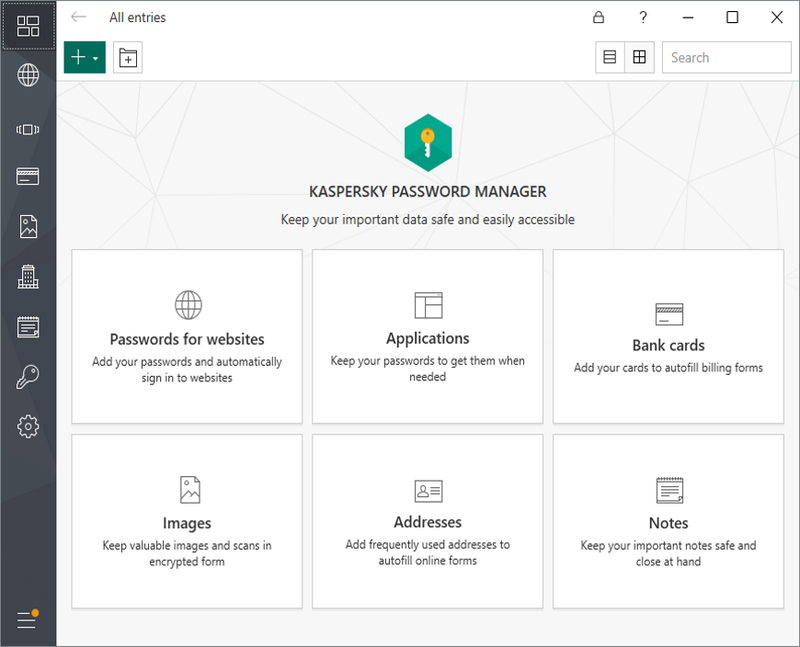 The Free version of Kaspersky Password Manager does everything the Premium version does, but it only allows you to store a maximum total of 15 entries. That’s a maximum total of 15 passwords and confidential documents – like your passport, driver’s license and bank cards – combined. Which means it only offers you limited password storage, and limited storage for your personal data too. To take advantage of unlimited storage, you need our Premium version.